Avail of our complimentary 24 hour hotel shuttle bus to & from both terminals at Dublin Airport. 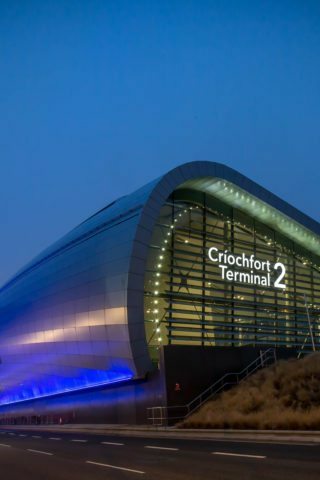 Landing into Dublin Airport simply use the courtesy phone to advise us you have arrived and proceed to one of our courtesy bus pickup points. Courtesy phones are located in arrival halls of both terminals. The most convenient pickup point for Terminal One is zone 8, for Terminal Two it is located at right hand side of the arrivals exit door. 4.00am – 10.00am and 6.00pm – 11.00pm: every 20 minutes. At all other times every 30 minutes.